If you’re young and have talent, it’s like having wings – wings that empower you to soar high and make a difference that you were born to etch! If you have managed to stretch your wings in the field of social media marketing; achieving, and re-defining the space with constant efforts, we have something in store for you. In a bid to acknowledge young blood, who have been working hard and transforming the social marketing space, Social Samosa launches – Top 30 Under 30. The initiative calls out to young social media professionals who have managed to achieve basis creativity, dedication, lots of integrity, and appetite for crazy work hours before crossing the 30 mark. Social media marketing as a science calls out for an understanding of marketing concepts added with a sense of communication in the age of evolved technology. Gracefully exhibiting this and more Young Turks have been the core strength of this industry. 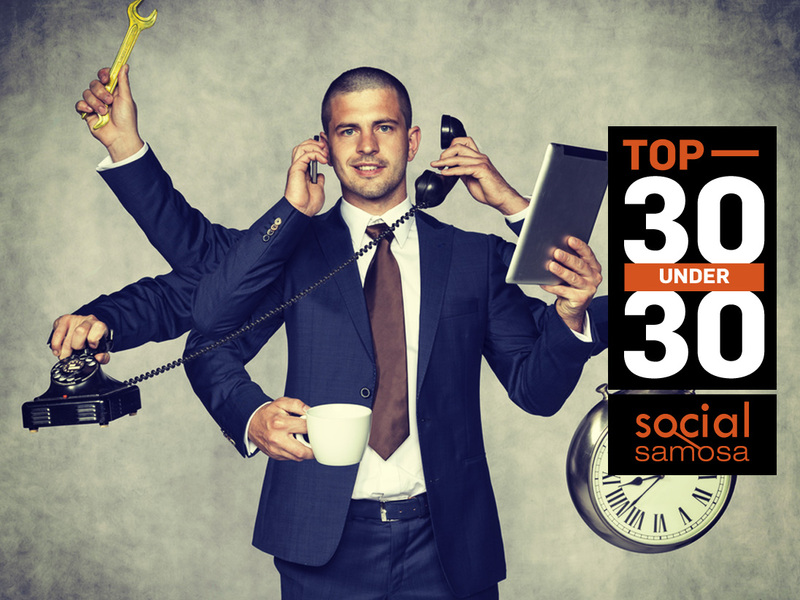 You could belong to an agency, tool, brand, or be an independent consultant – participate in Social Samosa Top 30 Under 30 to enhance your profile and gain recognition for the groundbreaking work executed by you. Submission for Social Samosa Top 30 Under 30 will be open till March 20 , 2016. All the entries will be subjected to a detailed judging process under the expertise of an esteemed jury against pre-designed parameters. If you pride yourself as dedicated social media manager and have managed to use your skill set with passion before crossing 30, fill out the form below and register yourself. You could also tweet out to us. Nominee has to be 30 or under on March 31st, 2016. Nominee needs to be directly connected to the field of social media. No changes will be accepted once the entry is submitted. If you’re nominating someone else, mention it in a “NOTE” in the Career Summary section. Multiple or duplicate entries will be disqualified. You can tweet out to us with #SS30Under30 for queries. The criteria for judgement will be consistency, scale of campaigns executed by you, an objective to result fit of the campaign and a fair degree of influencing social media circles. However, the final criteria mix will be locked by the jury. The list of Top 30 Under 30 will comprise of the best talent in the Indian social media industry. Wildcard nominations for Top 3o Under 30 are now closed. For further information, write to us on team@socialsamosa.com. Twitter samvad - What are the limitations? This is why #JazbaatiJanta needs to calm down!